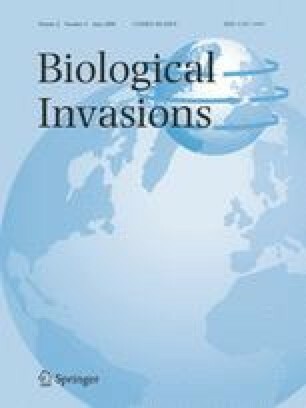 Biological invasions are a leading threat to freshwater biodiversity worldwide. A central unanswered question of invasion ecology is why some introduced populations establish while most fail. Answering this question will allow resource managers to increase the specificity and effectiveness of control efforts and policy. We studied the establishment of spiny water flea (Bythotrephes longimanus) in the United States and Canada by modeling introduction failure caused by demographic stochasticity, environmental variation, and seasonal environmental forcing. We compared predicted establishment rates with observed invasions of inland lakes in Ontario, Canada. Our findings suggest that environmental forcing can cause “windows” of invasion opportunity so that timing of introductions might be a greater determinant of population establishment than demographic stochasticity and random environmental variation. We expect this phenomenon to be exhibited by species representing a wide range of life histories. For spiny water flea in North America, a large window of invasion opportunity opens around the fourth week of May, persists through the summer, and closes with decreasing water temperatures in autumn. These results show how timing of introductions with respect to seasonally forced environmental drivers can be a key determinant of establishment success. By focusing on introductions during windows of invasion opportunity, resource managers can more effectively control invasion rates.